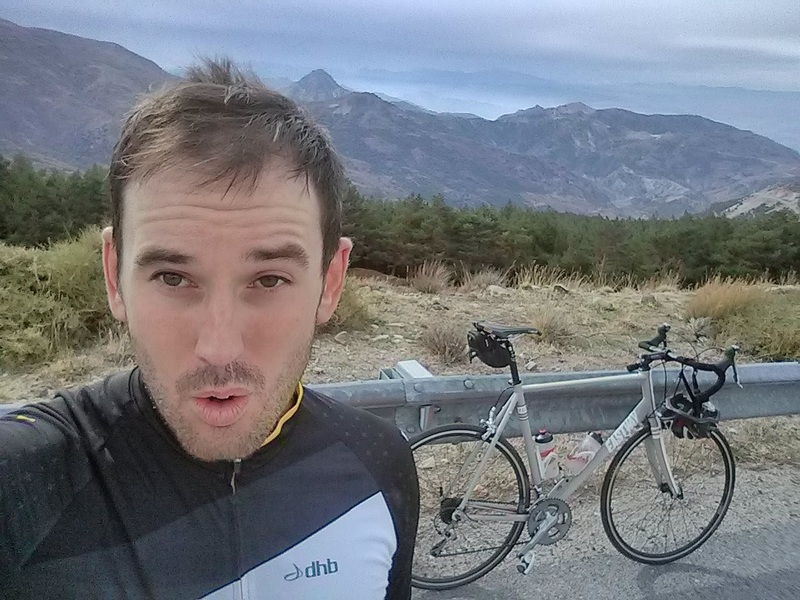 I have decided to apply for a self-supported race called the Transcontinental Race which will take place next July/August, it would be nice to have a focus for the distance riding skills that I have developed and enjoyed over the last eighteen months and I think this is a fantastic adventure to really test myself in a competitive environment. Should my application be accepted, and judging by the large numbers of people registering there is a reasonable chance it might not be successful, I will be cycling in excess of 4,000km and climbing vertically over 65,000m from Flanders in Belgium, south through the French, Swiss and Italian Alps, weaving amongst the Balkans and to Canakkales in Turkey in hopefully less than fifteen days. It’s not only a race but also an adventure of the highest order and something I really believe I can complete. Winning is unlikely but I would like to surprise myself and a few people with a strong performance. Anyway, this is all theoretical at the moment, I should know by the end of the year if I have been accepted as a contestant and in the meantime I will enjoy my cycling days here in Spain as always and if I don’t make the cut there are other races or trips that I am equally drawn to that will fill my summer months with joy and fulfilment. This ride begins on the road to Colomera, one of my favoured go to rides, but takes a left turn on to a rather roughly tarmacked road that leads to the small villages of Olivares and onto Tiena, the road is slow because of the uncharacteristically rough surface and on my ride that was slightly accentuated by a strong headwind and a shallow but steady uphill gradient, however the glide down from the plateau into Olivares is picturesque and relieving. 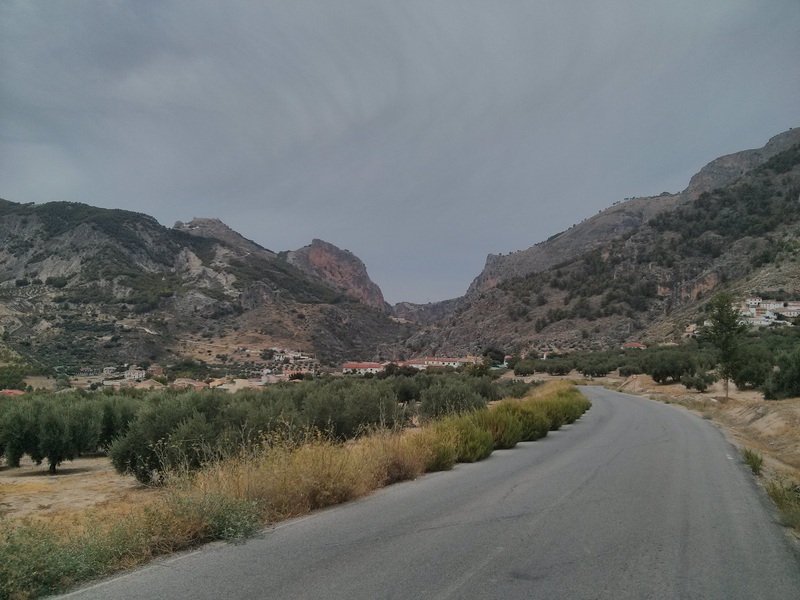 From Tiena there is a zigzagging road that heads to a nearby mountain through farmland adorned with linear olive trees and from below in the valley this road appears to lead to nowhere at several points. However as I climbed I went round a few rocky outcroppings to discover the next stretch and eventually the ascent leads into a forested section. The real surprise comes as you exit the forest and looks across to Moclin, an incredibly beautiful mountain top settlement that proudly sits atop a small peak. Further adventures lie beyond to other towns like Limones but I have saved these for a day when I have a bit more time to get lost in the back-country. With a full-day free I decided to take the plunge and ride to the coast. This sounds wonderful, something I should be doing all the time, but you must remember that I live at 650m above sea level and to go down to the coast I first have to go up before I can go down and then there is the return journey which is all up, also there is the heat of the Spanish summer! However this ride is the most rewarding I have done so far in terms of scenery taken in. 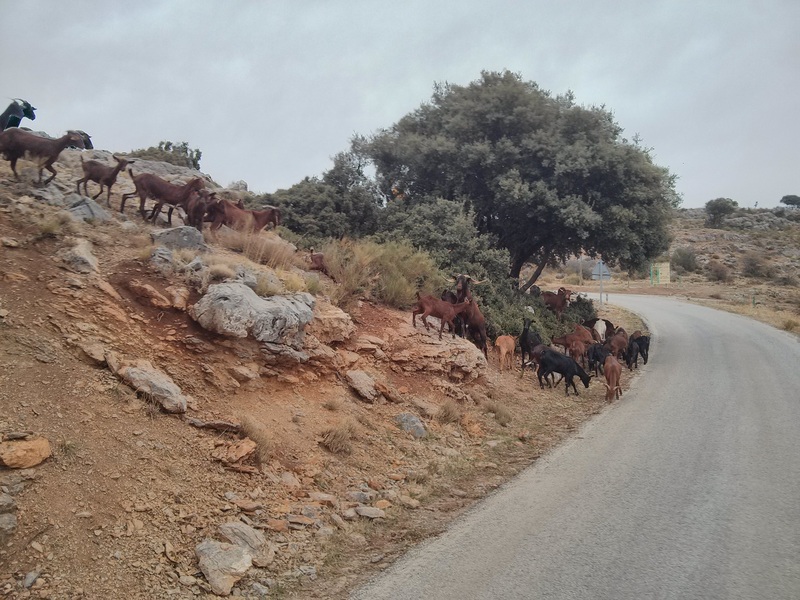 From my home I headed to the Sierras de Tejeda, Almira y Alhama Natural Park (a mouthful) and sought out the Careterra de la Cabra (Road of the Goats). 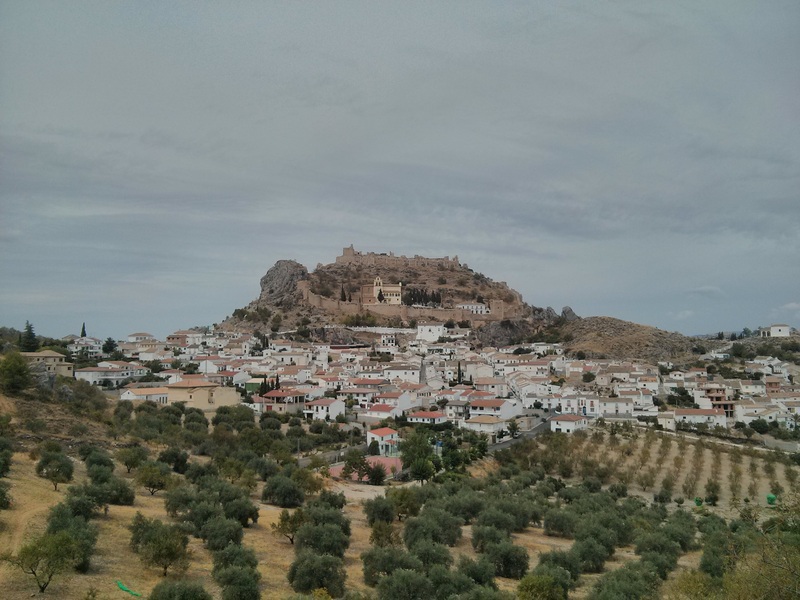 The Carettera de la Cabra is famous for its natural beauty and as being the route that Andalusian goat farmers would take many years ago to bring their goats to market in Granada from the Almunecar area. This walk would take two days. 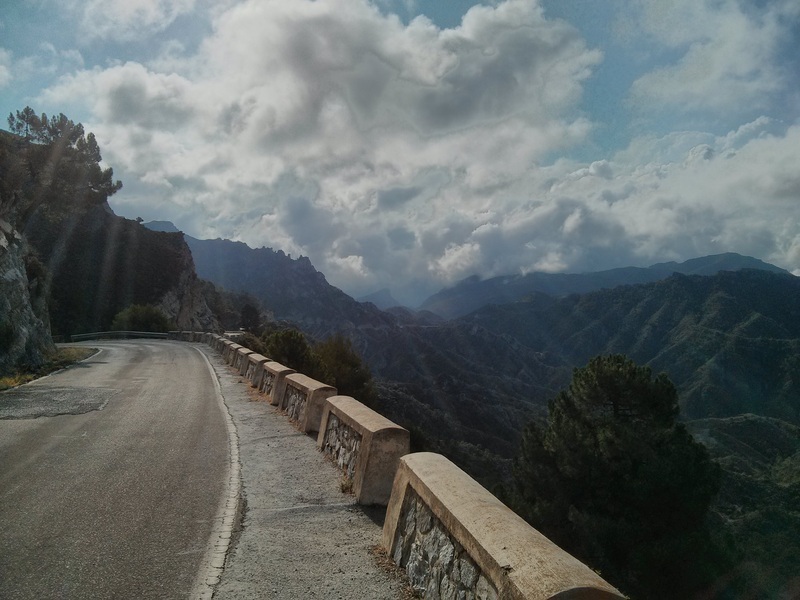 Fortunately after lots of undulating road I hit the spectacular vistas and downhill section through the mountains and I was in Almunecar after a few hours. 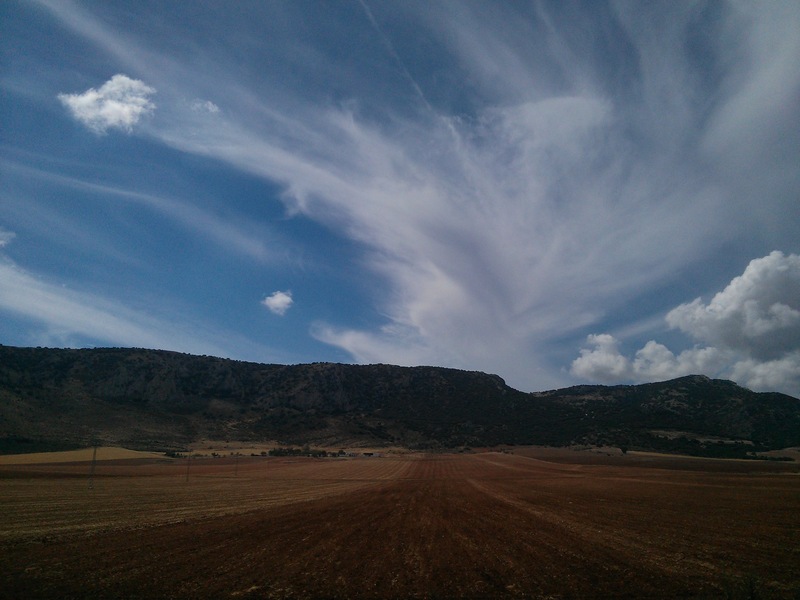 The photos below speak for the unquestionable amazement the ride provides. In Almunecar I rode to the beach-front and followed the confusing one way street system before heading along the coast 30km to Motril where I stopped off for some lunch at a small cafe that had just opened up. There was an egg in my burger but with the thought of the huge climb back ahead of me I ate it anyway. 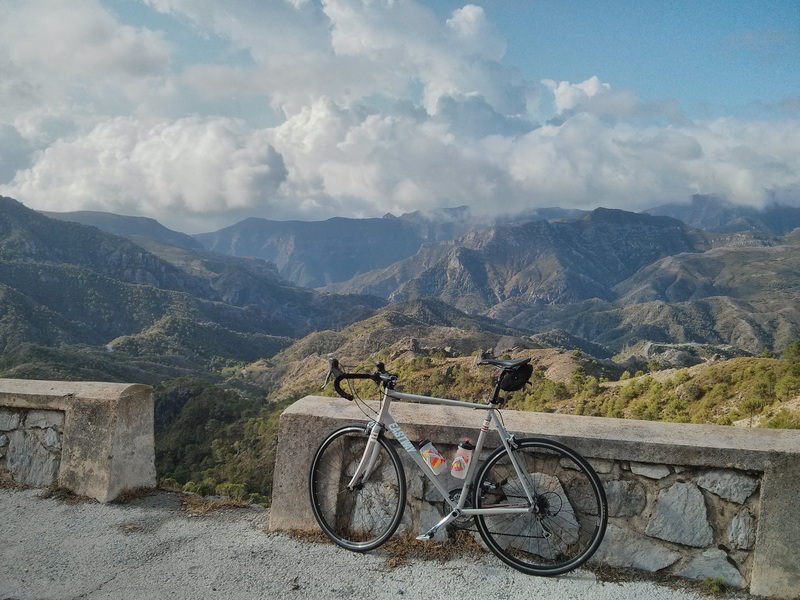 I had done most of the climb back on a previous ride when I did a circular route down to Lanjaron and the Rules Reservoir so I mostly knew what lay ahead of me and I knew it would be more of a grind, with only a few scenic places to distract me, compared to the route I had taken down to the coast. My GPS app cut out halfway back as my phone died, but I however just about made it in the blazing sunshine and 35 degree Celsius midday/early afternoon heat. I think this is definitely a ride best taken in the cooler months! 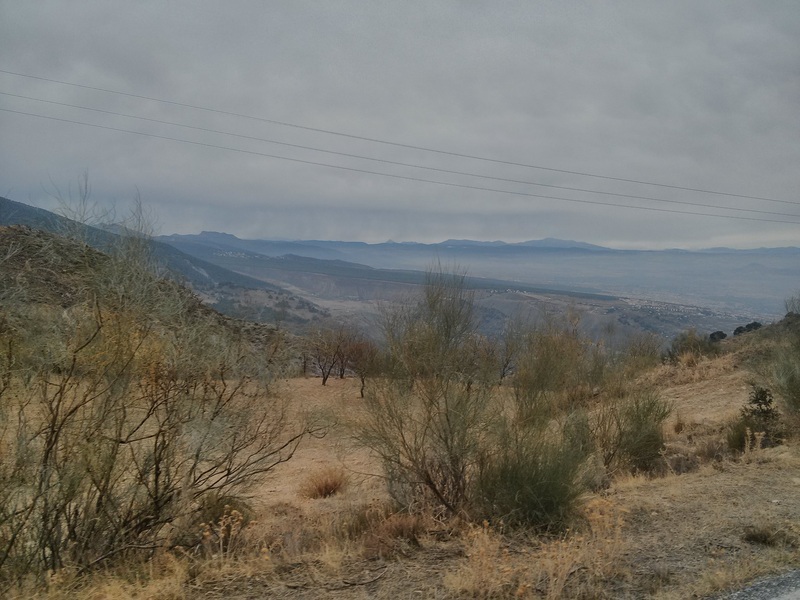 Granada to La Peza is a stunning route, quiet roads, lots of climbs and smooth descents and I have ridden there and back several times. 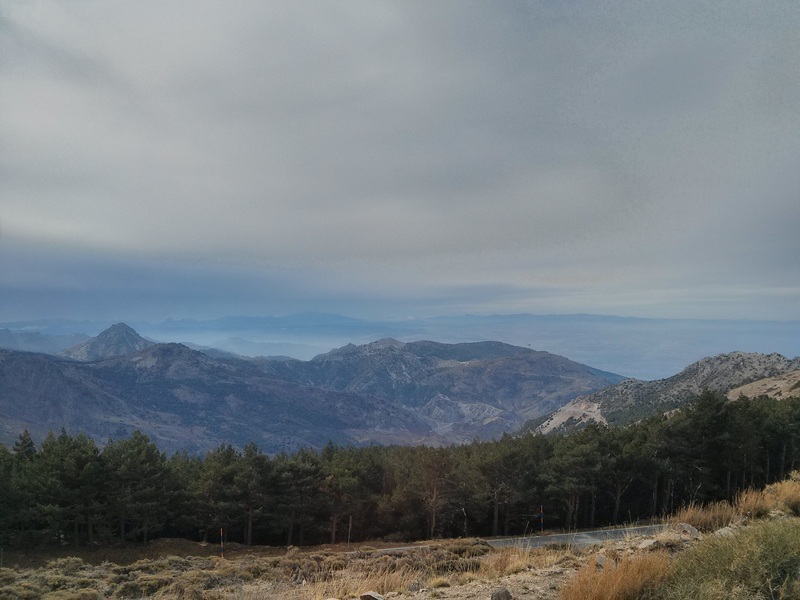 This time, however, I wanted to extend my ride to Darro and back through Iznalloz to complete a full circle of the Sierra de Huetor a mountain range that sits across the Rio Genil valley from the Sierra Nevada. It turned out this ride was shorter than I expected, only 117km, but still has the kudos of circumnavigating a mountain range/national park. 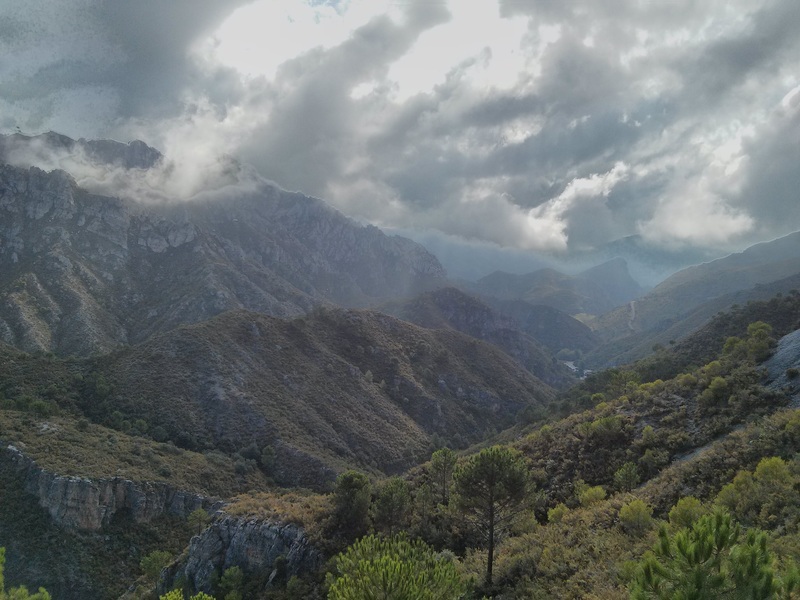 The highlight, as I expected was the Rio Genil valley to La Peza, but there are some great views of the striking ridge that forms an ominous spine along the northern side of the Sierra de Huetor. 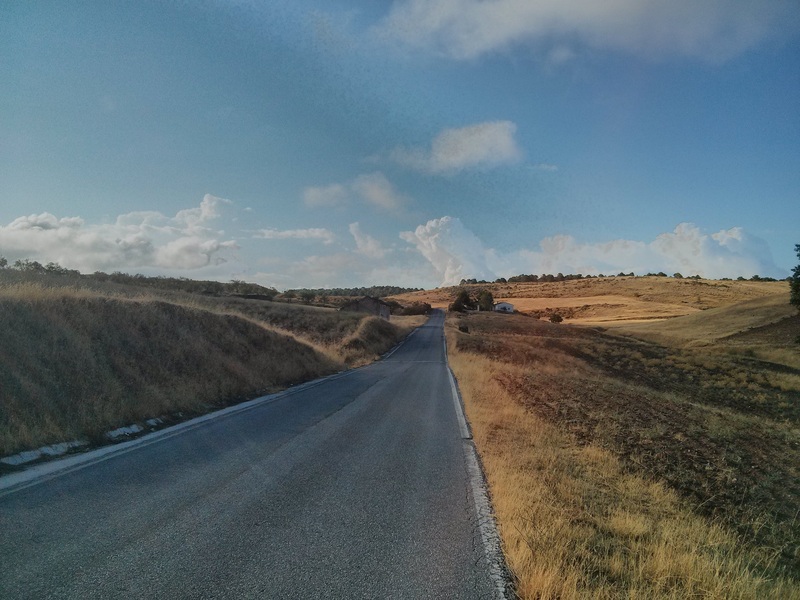 There was a bit of main road riding that was at first a little intimidating in comparison to the quiet back roads I’m normally on, but as usual Spanish drivers showed impeccable consideration and the whole road had an endless area to cycle in marked clearly away from the main carriageway. I have cycled to the ski station in the Sierra Nevada (and beyond) several times but this is arguably the best route, physically demanding, but yet providing the most incredible scenery. I have descended the Monachil route several times, it being steep but not particularly fast due to the tight nature of the numerous corners. 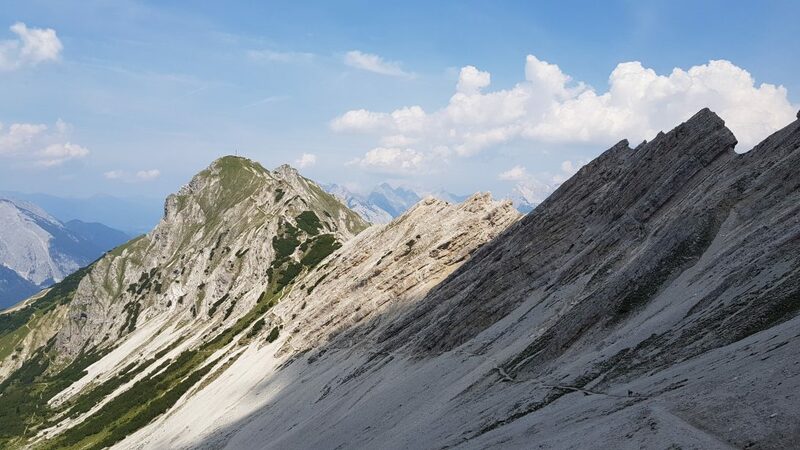 Ascending via this route was lung-bursting with some gradients hitting 40 per cent in the corners and the final push to El Purche appearing to be as if monumental wall of tarmac had been slammed right into your face. That being said when you pop your head over the horizon and join the more steadily inclined main road there is a fantastic sense of satisfaction. I also managed to perfect the use of my camera on the go rather than stopping to take pictures, a herd of goat being the first recipients of my new photographic skills. To add to the wow factor I climbed above Prado Llano to join up with the A-4025, an old route up the mountain but now devoid of cars and relished the most beautiful of switch-back descents. Notably it’s getting cold now in the mountains and there was some snow apparent on the very highest peaks so I will have to invest in some more suitable winter and windproof attire to continue using theses routes over the coming months. 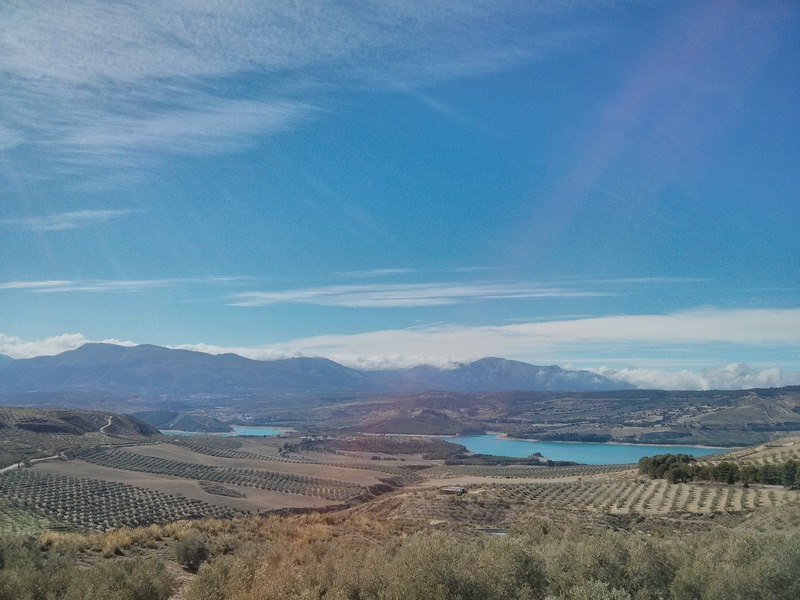 If my weathered face above hasn’t put you off, the final ride I am documenting is this fine loop out to Poblado Embalse de los Bermejales (a reservoir) which I have been past before on the way to Alhama de Granada. This time however I took a minor road back from the reservoir through an isolated town called Cacin. 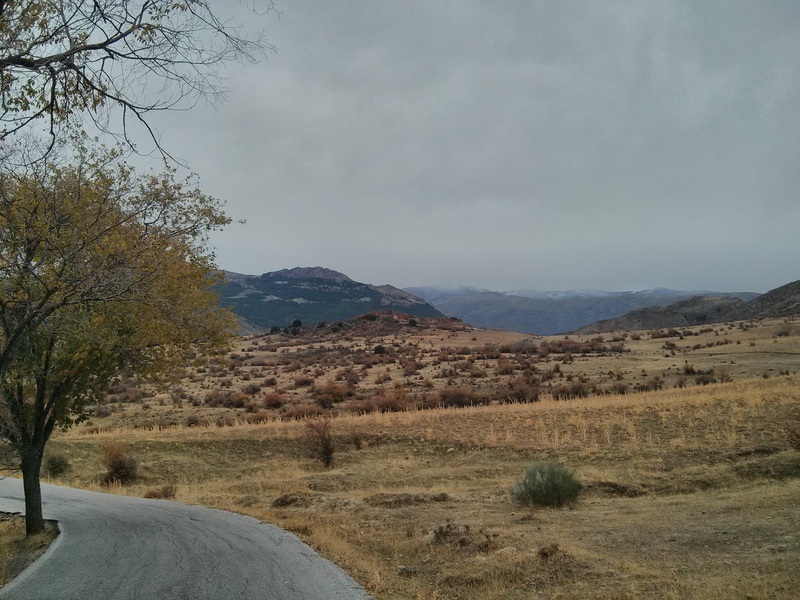 This road is quiet, hidden in a valley that feels it shouldn’t almost be there on the vast undulating plain to the far west of Granada and relatively unridden according to Granada. 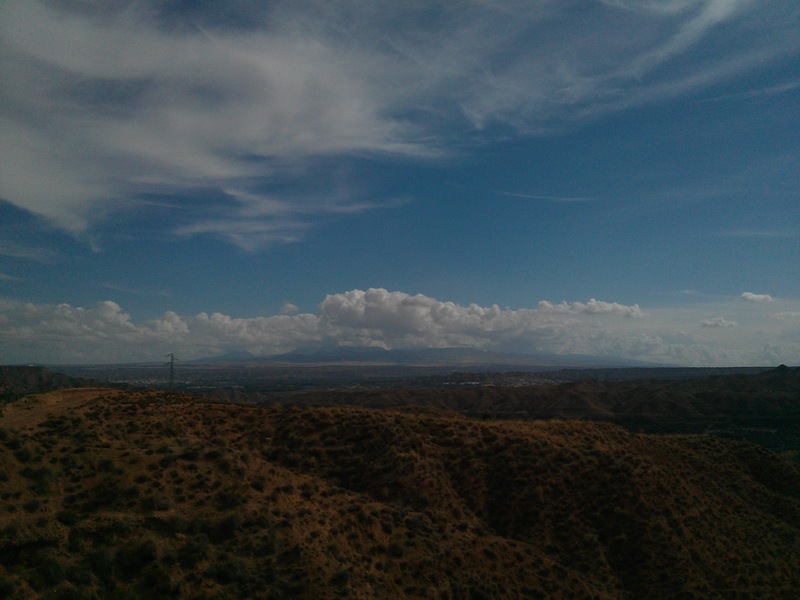 This route is a real leg burner if you attack it, especially on a windy day like this one. There is no flat just long ups and lazy downs but serves three hours well spent.